It never fails. No matter where I wear this shirt people tell me they identify. They often tell me they want one. I’ve asked many times who wants one. Some of you tell me you do, but so far not enough to put in another order. But with all the comments I get–a musician at the Irish festival, a TSA guy at the Columbus airport, a banker when we went in to apply for a loan, a lady walking past me at a used book sale, a young girl and her mother who came to my festival book table–I know there are several of you out there who would like one. My sister gave them to her grandkids’ teachers for Christmas. I bet you have a reader on your list. They come in all sizes from kids to XXXXL. We can do unisex and/or ladies styles. They are a nice quality. I love mine. So Just Leave Me a Comment Telling Me You’re Interested. If I have your contact info, I will keep you posted. You can send me a message by using the contact form. The price will be somewhere around $20 depending on the number of orders. The more ordered, the lower the price. We could also do sweatshirts, but the cost of course is higher. 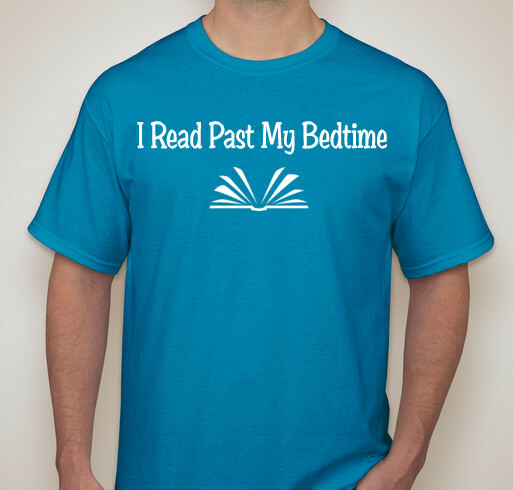 This entry was posted in Books and tagged books, t-shirt on September 12, 2015 by cthomson.